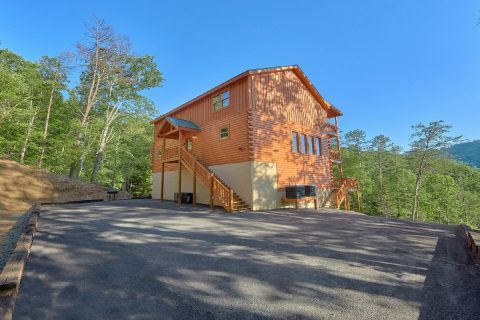 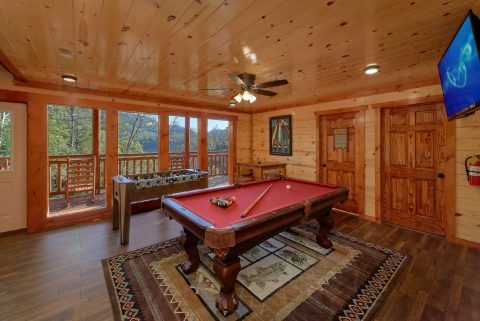 Welcome to "High Dive" a 6 bedroom cabin that sleeps up to 14 guests in the Smoky Mountains! 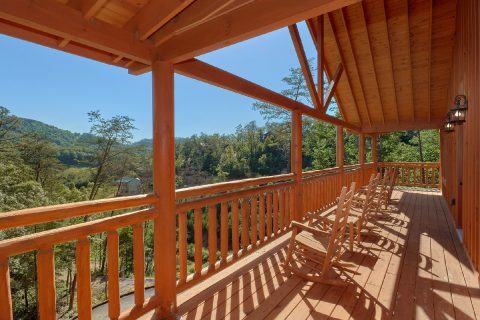 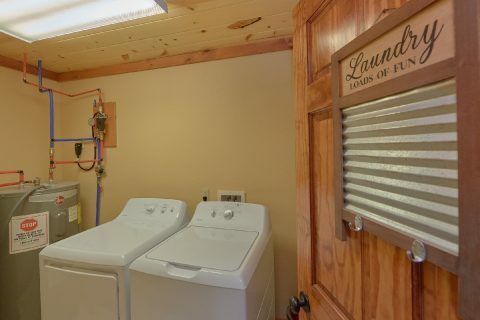 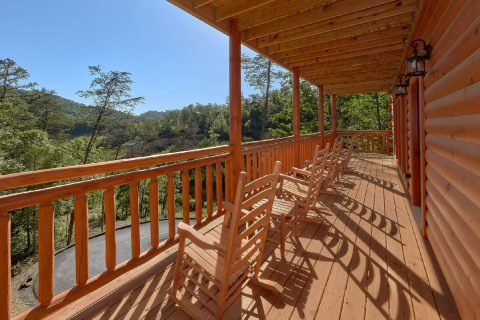 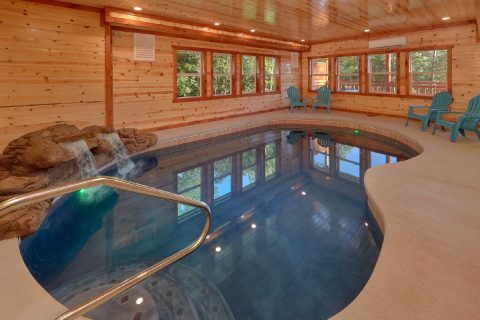 Not only does this rental come complete with a private indoor swimming pool with a waterfall feature, but it also provides guests with a prime location for experiencing the Smokies. 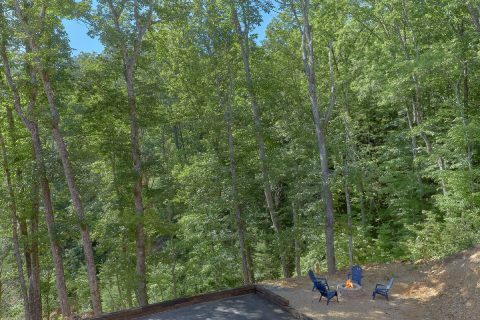 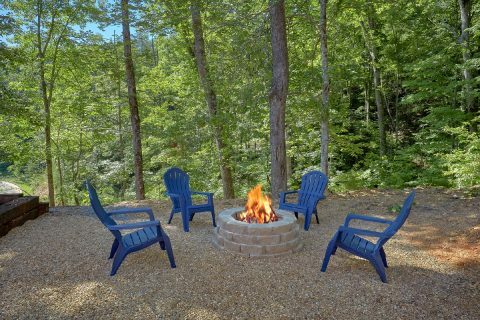 Since this rental rests in the scenic On Higher Ground Resort community, guests of this rental will enjoy nice forested views and plenty of peace and quiet. 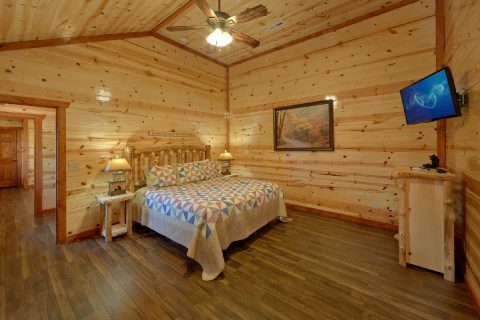 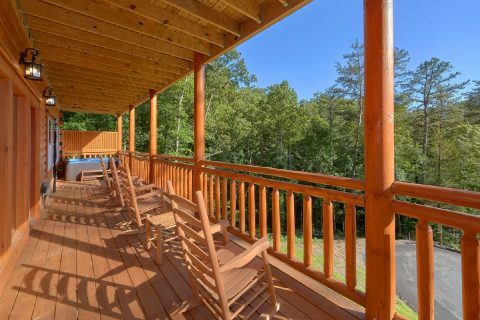 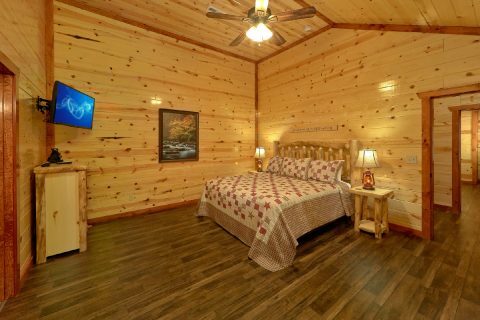 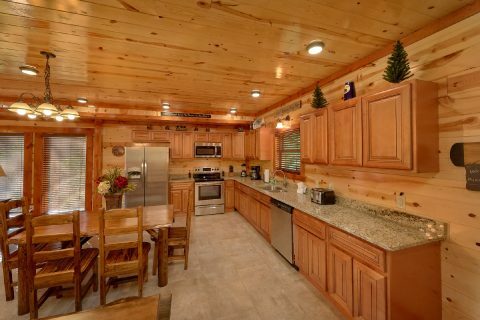 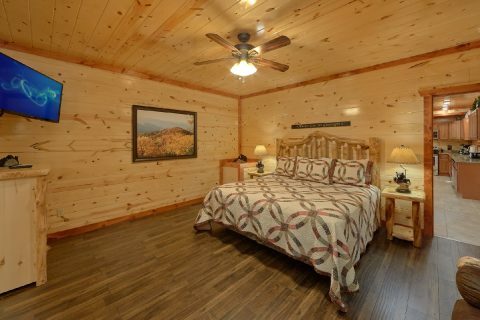 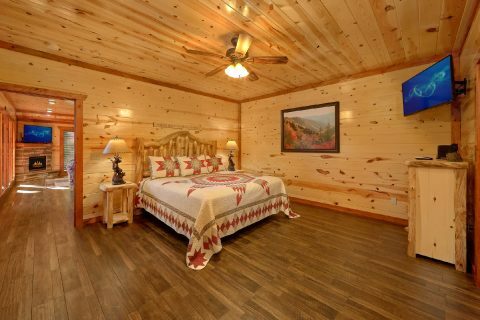 Better yet, this lovely cabin rests only 5.3 miles from Downtown Pigeon Forge and only 5.6 miles from Wears Valley, so you'll have no shortage of fun attractions to experience during your stay. 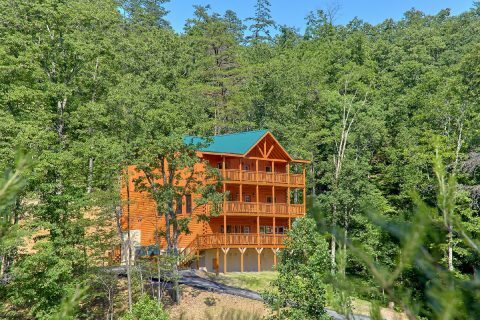 Additionally, this cabin rental is only a short drive from the Great Smoky Mountains National Park. 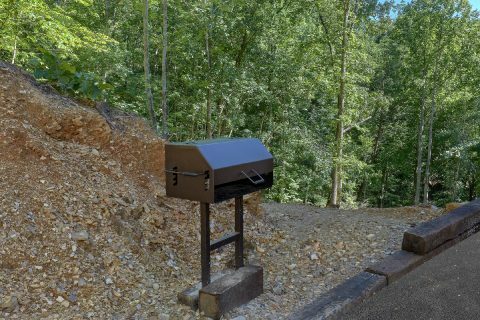 From this rental, the quickest way into the national park is the Metcalf Bottoms Park entrance that's only minutes away from beautiful sights like Cades Cove, Elkmont, and The Sinks Waterfall. 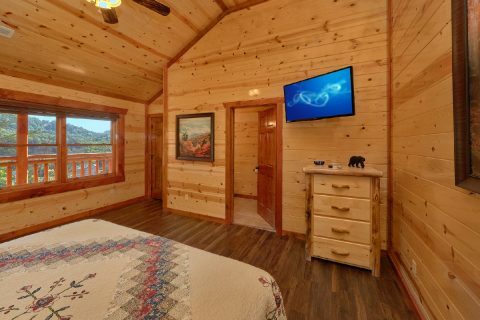 When you aren't busy enjoying the best the Smokies have to offer, you'll love unwinding at this log cabin that boasts everything you need to unwind. 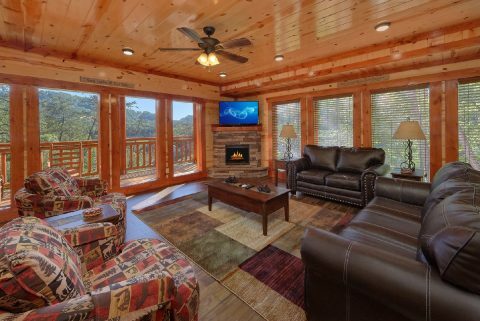 The main floor is home to a welcoming living area complete with an electric fireplace and television, the perfect place to catch up with family and friends. 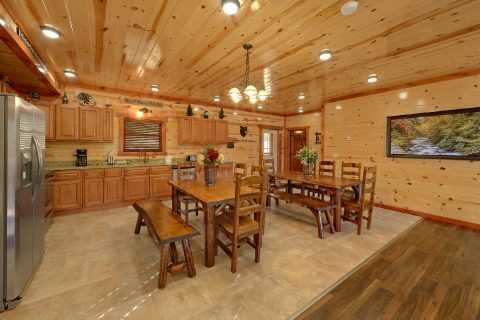 Nearby, you'll find a fully equipped kitchen and dining area where you can make delicious dinners during your stay. 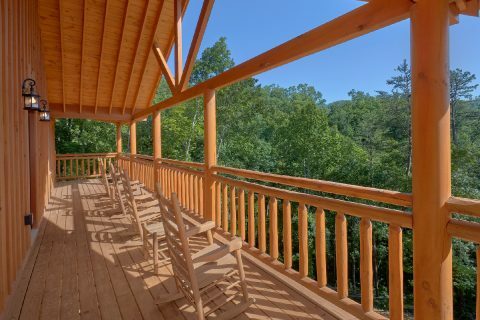 From this floor, you can step outside onto your cabin's deck to enjoy the tranquil forested scenery. 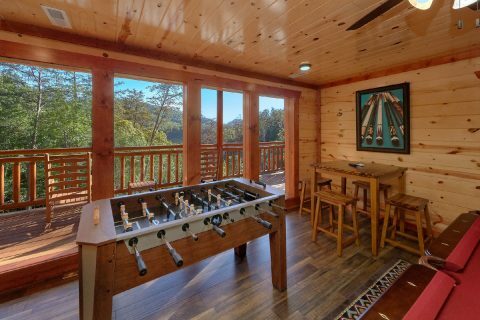 For some fun and relaxation, head downstairs to the lower level game room with a pool table and a foosball table. 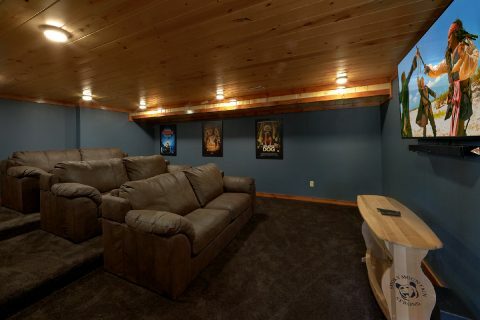 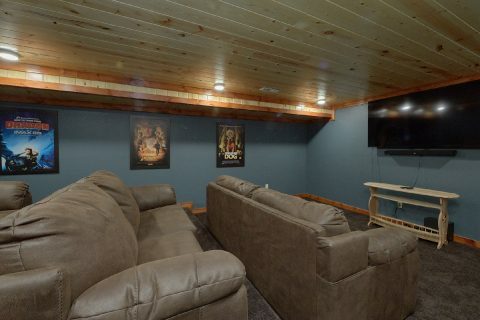 Nearby, you can watch your favorite movies in the theater room. 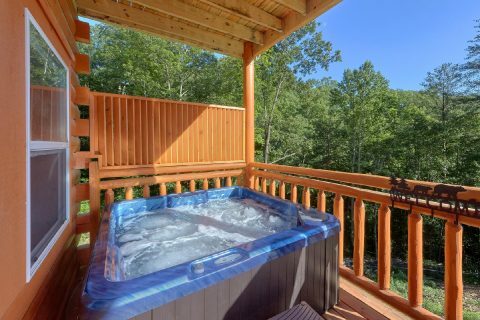 For some relaxation, simply step outside to the lower level deck to take a dip in the soothing waters of the hot tub surrounded by nature. 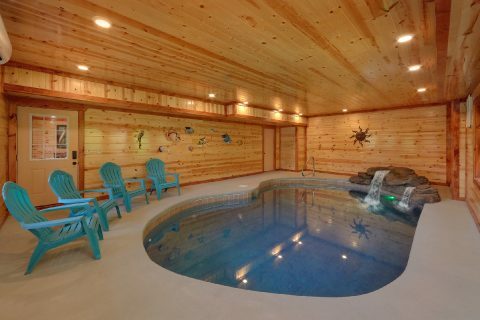 This floor is also home to your cabin's indoor swimming pool with a waterfall feature, where you can enjoy a relaxing swim no matter the season! 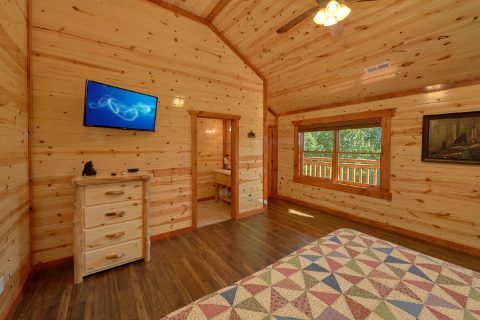 Better yet, this cabin also provides guests with an outdoor area complete with a fire pit and a charcoal grill for enjoying a cookout during the warm summer months. 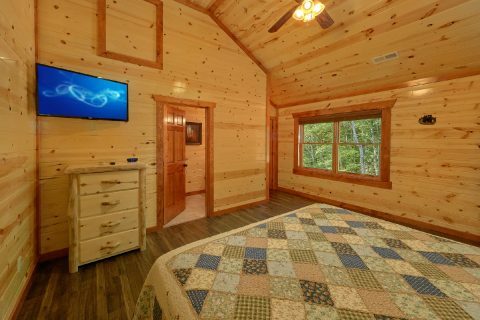 With 2 private king-size bedrooms on the main floor, 4 private king-size bedrooms on the upper level, and a sleeper sofa in the living room, this luxurious cabin can easily sleep up to 14 guests in comfort. 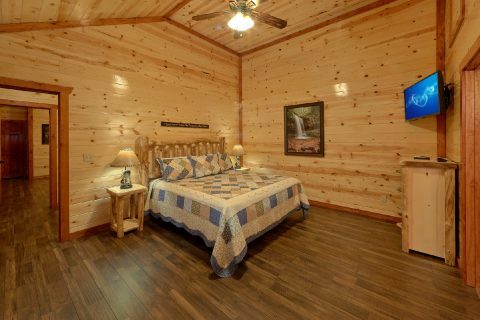 Each bedroom boasts access to a private bathroom, so everyone will have plenty of space for getting ready in the morning. 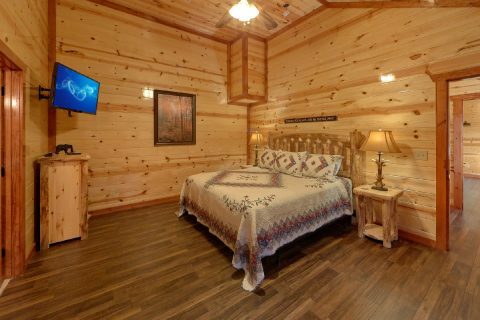 Additionally, this spacious cabin also offers practical amenities like WiFi Internet and a washer & dryer to use during your stay. 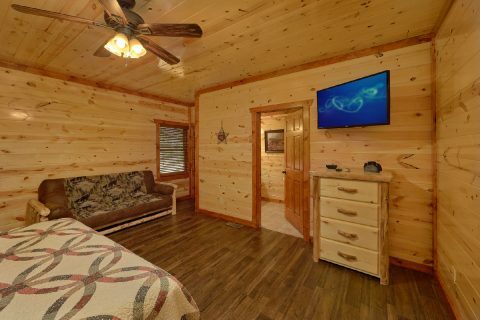 Book "High Dive" today with Cabins USA Gatlinburg and you'll save 15% on your nightly rate on this 6 bedroom cabin with a private swimming pool!